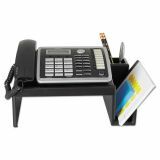 Rolodex Wood Tones Phone Center Desk Stand, 12 1/8 x 10, Black - Phone stand raises your telephone off the desktop on the angled top. Area below accommodates phone books up to 8-3/4 square. Side compartment holds a memo pad. Attached pencil holder keeps writing utensils close at hand. The stand also works great as a planner or bookstand. 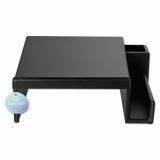 Phone stand combines rounded curves and natural esthetics of real wood to create a sleek, contemporary look that adds an elegant touch to any desktop. 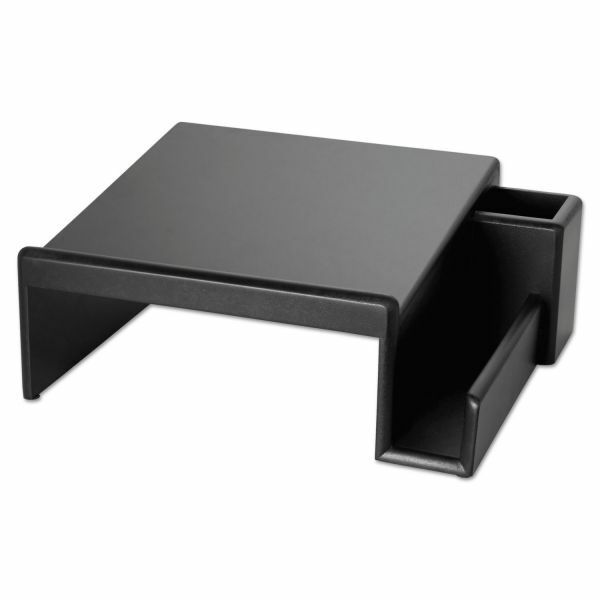 Nonskid feet keep it securely in place."